WARSHIFT Game - Action, RTS, RPG elements in one. Forum » WARSHIFT FORUM » GENERAL DISCUSSION » Finally got it! Gamepad XBox360 wired. Finally got it! Gamepad XBox360 wired. 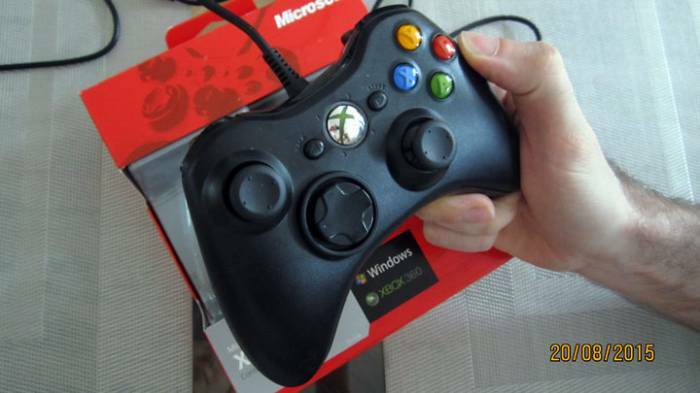 This is really first controller in my life - XBox360 wired. I've already tried to implement some basic control of Corsair. And it's works! Despite that supporting of controller and keyboard/mouse simultaneously is a hard task, I hope that now my work with controller implementation will go faster.